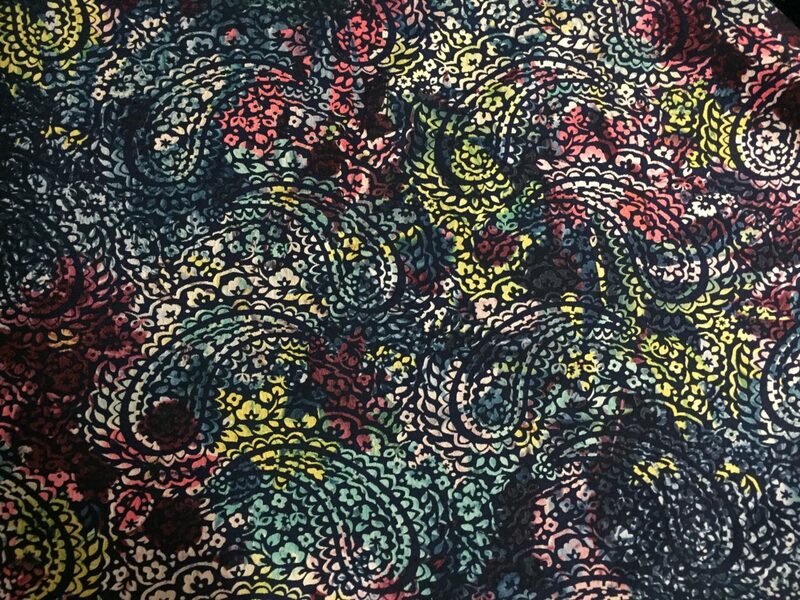 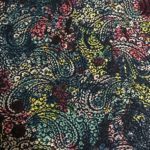 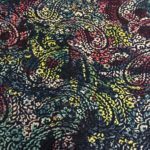 Bottom Weight Cotton Blend, with a textured paisley pattern in Dark Gray against a Dark Navy Blue background. 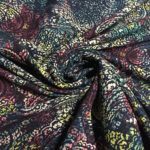 What sets this apart is the colorful contrasting pattern of Blues, dark and light Red, Green, Pink, Black and Yellow that looks hand painted on the piece. 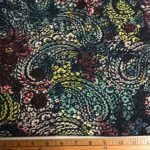 Medium to Heavy weight (around 7 ounces) with a lot of drape, made of a Cotton/Polyester/Lycra blend, there is also a nice bias stretch to it which would make it perfect for pants, but also a dress, skirt, top, jacket or gown. Made in France, 54″ wide. 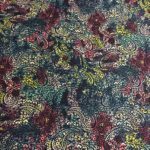 Use this as you would any heavier weight cotton or any suiting/bottom weight woven.